Capturing the rain for use in the landscape is a practical approach to supporting living systems. 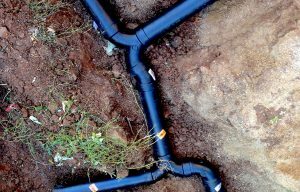 Diverting downspouts into gardens provides resilience in droughts, and properly grading a site can provide protection from floods. We worked extensively with state and local government to allow for (2) 55 gallon rainbarrels at each residential property. Contact us to learn more about what is possible with Rainwater Harvesting on your property. Greywater Systems offer an opportunity to recycle water from your home. It can be used to irrigate your landscape or to flush toilets. We worked extensively on the development of a Greywater law for Colorado. Contact us to learn more about what is possible with Greywater systems. Check out this video that we produced with the City of Boulder for how to install a simple 55-gallon Rainbarrel on your property. 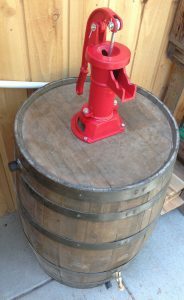 In this video we used a Recycled Barrel from Container Reclaimer. Contact us Today to Schedule a site consultation to see how you can harness the power of Water!